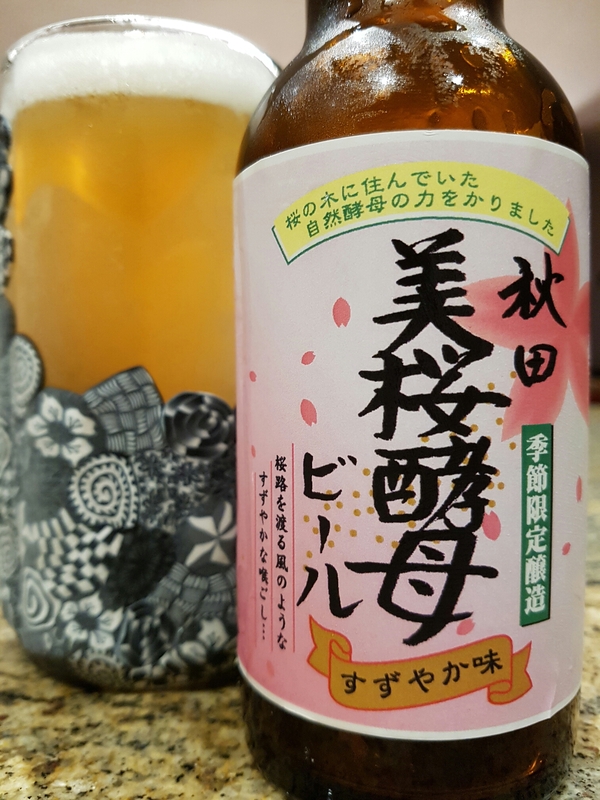 秋田美桜酵母ビール (Akita Biyōkōbo Beer) – 湖畔の杜ビール (Kohan no Mori Beer) (Akita, Japan) | Justintoxicated. Visual: Pours almost clear golden yellow with a decent sized foamy head, a 2mm layer of retention, mostly thick sticky lacing. Finish: clean, trace amounts of bitter hops. Summary: Not quite sure the exact style, but definitely not a spiced/herb/veg beer. It drinks like a hybrid ale mouthfeel body/lager barley malt and just a touch of sourness from the wild yeast. Mildly interesting, very drinkable.